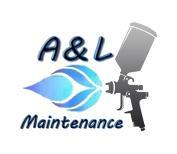 20 KL Inflatable bladder tanks or mesh tanks can be hired from our affiliated contractor A&L Maintenance. 6. Full costs and the deposit as indicated above for the intended period of use must be paid in cash on deployment date. a. Our team will deploy the tank, fill the tank and empty the tank, the client is not allowed to fill, empty or move the tank during deployment, and any such action will void the refund. b. The tank must be found in the same condition as when deployed and inspected by both our team and the client during deployment. The should be without any leaks or damage. Any damage will be accesses by our team and a full or partial refund will be decided upon at our sole discretion and within reasonable terms. Please ensure that that a representative is available during deployment to inspect the tank after filling and note any damage or defects if applicable is indicated on the acceptance form that will be presented by our team manager. 8. The renting and scheduling of water tanks is subject to availability. We currently have 10 tanks available. Pool Solutions, there affiliates, contractor and dealers, or any personnel of said organisations will not be liable in any way for water loss, damage to property, injury, death or any claim whatsoever that may arise as an indirect or direct result of renting a water storage tank from us. An indemnity and inspection form must be signed by both the client and our team manager on the day of deployment before the deployment team leaves the premises and after filling the tank. Rectangular, elongated and square shape pools are more accurately calculated by using average length and width calculator. 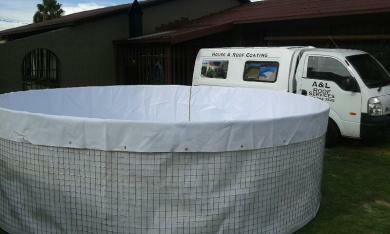 Round, oval and other complex shaped pools are more accurately calculated by measuring the circumference.